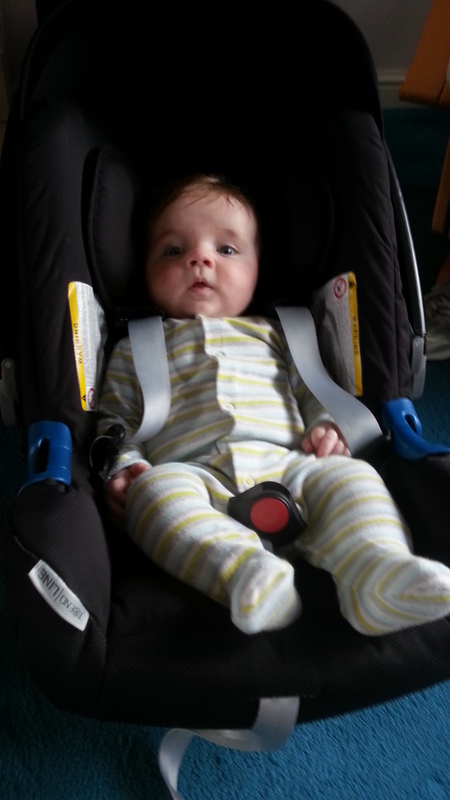 Today, for the very first time, I met my great-nephew George. He is absolutely delightful. 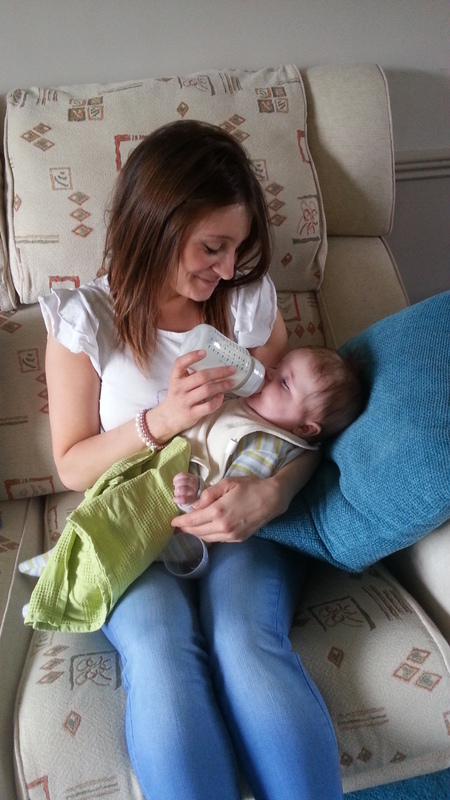 His mum, my beautiful niece (I have lots of beautiful nieces, this is my sister’s younger daughter), is radiant with motherhood. Fabulous company, a really good laugh, very sensible, and I just love her to bits. I love babies. I love new-borns, right up to toddlerhood. I also love children. It was the best morning I’ve had for a while. My mother came too, and started talking about how Sarah and I had delivered our babies “properly”. Mum had to have a C section with me, and forceps for my sister. Somehow she has felt bad and sad and guilty about this all her life, and I think that’s awful. So I told her about Prof Dr Alice Roberts, who did a documentary about evolution. One of the things she said, and demonstrated with a skeleton, is that the reason human babies aren’t able to walk and stuff immediately after birth, like, say, horses, is because our brain pans, our skulls, are just too big. If pregnancy went on any longer than nine months, the baby’s head would just not fit through the pelvis. Birth is difficult and risky as it is, so we are evolved to give birth before our babies’ skulls get any bigger. As it is, we have a “soft spot”, the fontanelle, at birth, so that the baby’s skull can fold over itself a small amount. So there is no such thing, I told Mum, as giving birth “properly”. There’s no such thing as “failing”. If your baby is born, then you’ve succeeded. I don’t know whether she’ll take any notice, but she tends to think about these things for a while and then decide. Anyway. Sarah is beautiful, radiant, and a fabulous mother. George is delightful. 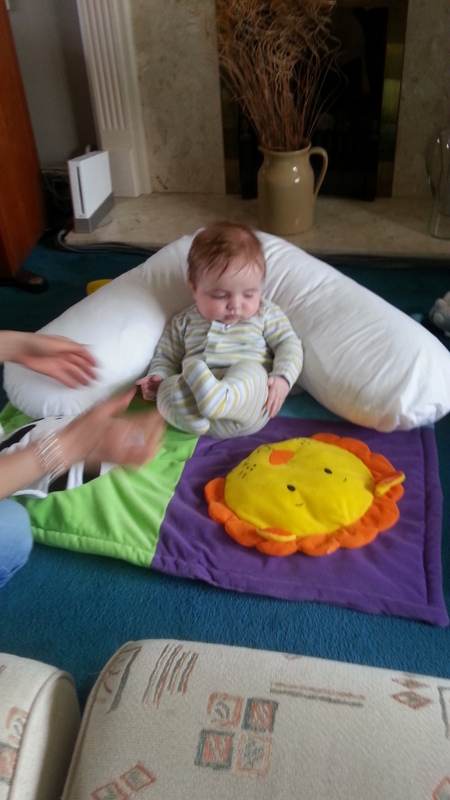 Smiley, happy, peaceful, a little chunk of loveliness. A little package of honey-coloured boyness. Last blog was quite “up”. This one is likely to be a bit “down”. 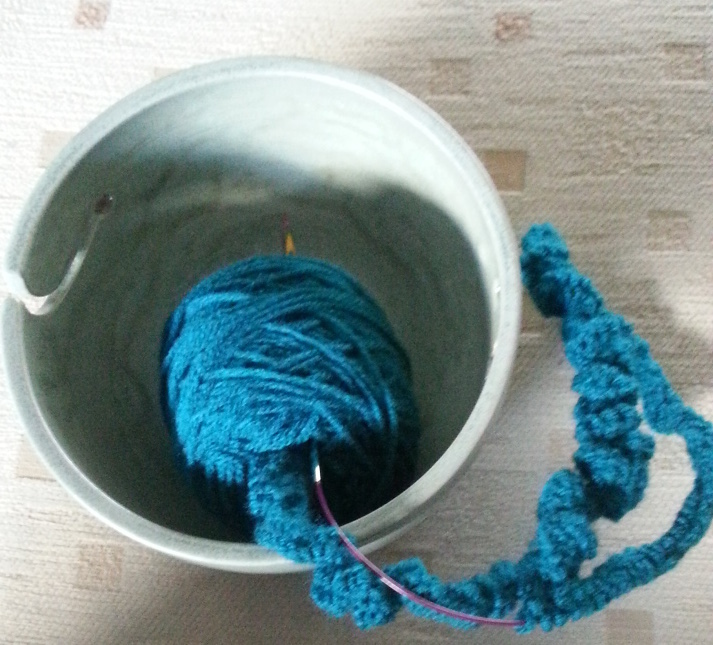 The knitting is going ok, but only a few minutes at a time, and tonight I shan’t do any, too much pain. But still less than before the op. Disappointed, really. It was going so well. But it’s 2 1/2 months now, and I guess that is when things would either stay good, or deteriorate. Hmph. Have been going to the Stitch group at the shop twice a week, Thursdays and Saturdays, in the morning. It works very well for me. It’s lovely to sit with other knitters/crocheters and chat and drink tea/coffee. The shop seems to be doing really well too. And it’s also excellent to be able to pop into my local yarn shop and buy yarn or needles! a five minute walk which is just right for me, and with a purpose at the end of it. My computer is borked. I use Linux Ubuntu, dual booting with Windows XP. Linux never crashes, just never. I’ve been using it for years and years now, at least 5 years if not longer. And all of a sudden, I was playing a game of Solitaire, and there was a click, and it shut down. Wouldn’t start again, so I changed the fuse in the plug. Then it started, but re-booted itself every five minutes or so. Googled it, and some people have had this problem after the latest updates. So I tried booting into Windows, and it re-booted before I’d even logged in. So not Linux then. Hardware. Googled that (on the laptop which I’m using now) and constant re-booting can be absolutely anything, and very hard to troubleshoot. Checked how old the computer is (built it myself) and it’s 4 years old. Damn and blast. This time I’m buying one, because you get guarantees with bought computers. Just awaiting its arrival. It will have Windows 7 on it. I’ll set that up, then get the old drive out of the borked computer and see if that works in it, and then I could have Windows 7 on the 500 Gb drive, and Linux Ubuntu on the 1Tb drive. Also bought 3 years extra guarantee, collect and deliver. But I wasn’t expecting it. Wasn’t planning it. Hate that. Then hubby saw how good the resolution on my laptop screen is, and made enthusiastic noises about how fabulous it is. So I tried to improve his screen resolution on his Linux Ubuntu, and borked his computer. Took me seven hours to sort it out. But he is happy with the resolution on his screen now. Thank goodness! I did manage to back my computer up before it died, thankfully, but will lose my emails. If I can get the hard drive to work on the new pc I’ll get them all back again, but will just have to manage otherwise. I do have the contacts file and browser bookmarks and stuff, so no panic. The weather here is beautiful. Sunny, breezy, and fairly chilly, but certainly nice enough for me to do a bit of pruning in the garden tomorrow if it stays like this and my hand improves. Lovely. Well, things have moved on apace. Saw the physiotherapist on 8th March, which was 8 1/2 weeks since the operation. She said that now it’s all healed inside, and is stable, I can work on getting back to normal. So I’m hardly wearing the wrist support at all, only needing to take 2 paracetamol 3 or 4 times a day, and feeling much better generally. I asked her about knitting and she said to start off doing a few minutes at a time. 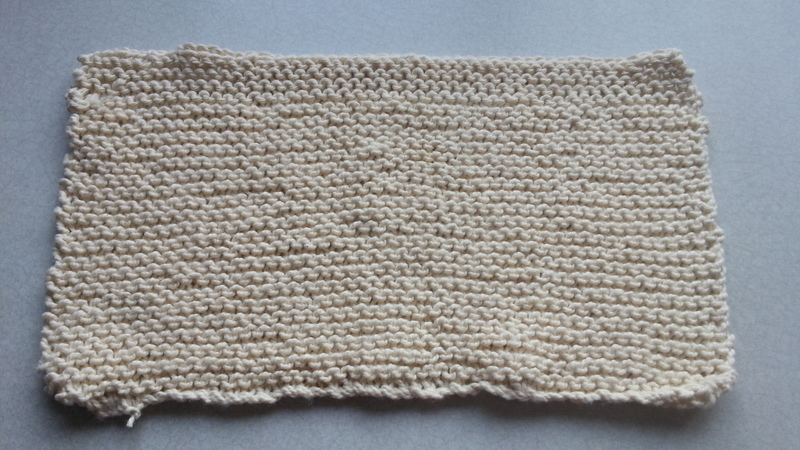 I knitted a dishcloth, which would as a rule take me an evening, but only did five minutes at a time. Went to the new knitting group at the shop on Thursday and again on Saturday, and after 6 evenings’ knitting as well as that, I finished it. At the group I knitted for a few minutes, then had a rest for 20 minutes or so, then knitted for a few minutes. I know when it’s time to stop, and do, and it’s going well so far. I can’t knit as fast as I normally can just yet but I’m definitely improving. So now I’ve cast on a hat for Lily, who is 2. It has a ruffled brim, which meant casting on 290 stitches. That’s a long row. But there’s only 6 rows of that, then when the brim’s done, it’s down to 90 stitches, which is more manageable. And it will look so pretty, I think she’ll look like a little flower. It’s a winter hat so completely the wrong time of year to be knitting it, but I’ve promised myself small projects, and this is a small project. Took the car out for a spin last night, to see how that went, as it’s a long time since I drove. That was fine, so today I drove to Solihull to meet my friend and we had a really nice coffee and a chat in Starbuck$. Tomorrow I can take myself to my hair appointment! And to cap it all, the weather is absolutely beautiful outside. Breezy, but sunny and exhilarating. Finally! Writing the “bullying” blog was cathartic and left me feeling much better. It had been building up for years inside me. Phew. That’s done then. Hubby is currently listening to classical music, there’s nothing worth watching on the TV, and I’ve just started reading Ian Rankin’s latest book. It’s called Standing in Another Man’s Grave, and I was surprised to discover it’s a Rebus book. Hooray! It’s on my Kindle, which is much easier to manage than “real” books at the moment. I’m also reading a “real” book as well (at bedtime) – a Debbie Macomber book. I love Debbie Macomber. This one’s about how her character started up a yarn shop. As my two friends Vickie and Ana have just done that exact same thing, it’s very appropriate. And there’s lots about knitting in there too. Excellent. My sister’s younger daughter is 30 today. Love her to bits. She had a baby last December and is a wonderful, wonderful mother. Can’t wait to meet the baby, who looks like a really interesting character. Mm. Our cat is currently sprawled on our bed, fast asleep. It’s such a hard life being a cat. However, she has spent most of today scampering around the garden, now the hour has changed and we’re on British Summer Time. It means the evenings are lighter, and she just loves it. Struggling with the pain in my hand/wrist tonight. Have had to take two Tramadol, one at lunchtime, one this evening. But back to physio on Monday and will see what they say about it. Am delighted the sun has finally appeared. It makes everything seem so much better. 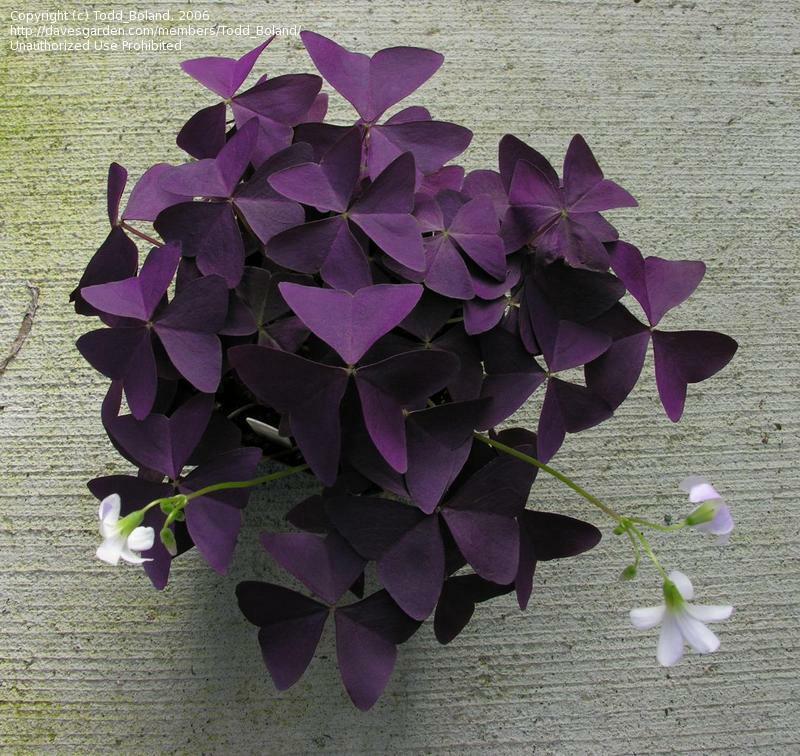 And it’s good for us – am planning, if I can, to sort out my Oxalis Triangularis – this is what they look like when they’re open, and in the evening the blooms fold up and look like butterflies.Thanks to Davesgarden.com for the picture. I’ll have lots and lots when I’ve sorted them out, the corms seem to divide and multiply each year. Might see if anybody at Stitch group would like some . . .